IMCDb.org: 1965 Jaguar E-Type 4.2 Fixed Head Coupé Series I in "Thunderball, 1965"
Registration KMT799C doesn't appear on the DVLA database, but C-reg means 1965. The next car (BXL985) is a Ford Fairlane 500 Skyliner. According to the story this car was driven by "Count Lippe". 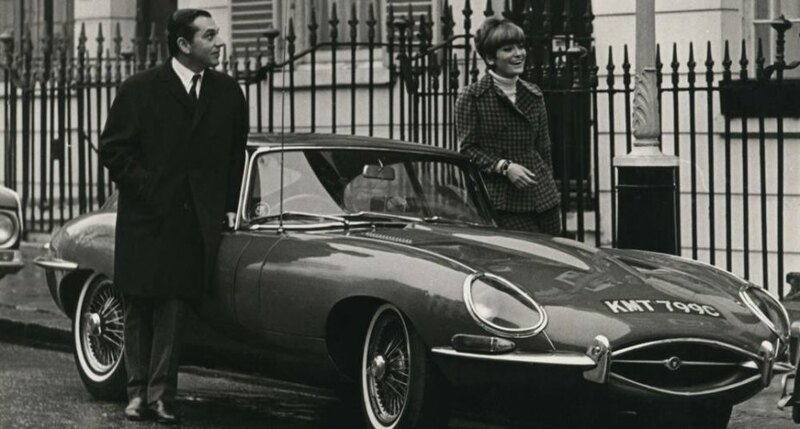 The third car is a Jaguar E-Type Mark1 fixed head coupe. The last one is a Rolls-Royce Silver Cloud. The other cars have their own entries too.